Waukesha Bearings Corporation has relocated their regional engineering and sales offices from West Greenwich, RI and has leased 4,662 SF of Office space at 99 Mechanic Street in Pawcatuck, CT. Waukesha is a leading designer and manufacturer of engineered hydrodynamic bearings, magnetic bearing systems and seals for high-performing turbomachinery in oil & gas, power generation, marine and industrial markets. Typical applications include gas, steam and hydro turbines, centrifugal gas compressors, generators, gearboxes, pumps and motors. Founded in 1946, Waukesha has been an operating company of Dover Corporation (NYSE: DOV) since 1977. Headquartered in Pewaukee, Wisconsin, USA, Waukesha maintains facilities in the United States, United Kingdom, Mexico, Russia, Brazil, India and China, and localized sales representation around the world to serve a global customer base. 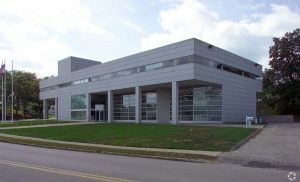 99 Mechanic Street is a modern 41,000 Square foot office building that was originally constructed for Harris Graphics Corp. and currently is home to The Cherenzia Companies. Other tenants in the building include General Dynamics IT group and the Westerly Sun. Daniel Barber of Northeast Property Group, Inc. acted as a dual agent and represented Waukesha Bearings Corp and the Building Owner, 99 Mechanic, Inc.